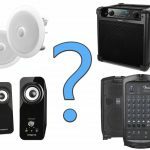 You are here: Home / Info / Explained: What are the Different Speaker Specifications? It can be a daunting task to choose a reliable speaker that will best meet your unique needs. It gets even worse if you have no idea about speaker specifications or other technical aspects that revolve around sound quality, and once you do try to read about it, some of the terminology is just way too wordy. This guide is meant to help you understand those ‘measurements’ and other means to identifying the capabilities of speakers, and to ultimately help you narrow down your list to a few speakers that you can choose from. In fact, if you know one or two things about specs, you will be able to separate the truth from marketing hype irrespective of the brand, model, or style of speaker you choose as you become more educated. Of course the type of speaker you need will also be important, so we recommend reading that guide as well. Let’s first focus on what all of this mumbo jumbo means. This measures your speaker’s ability to reproduce the frequency range of an audio sound wave. “Frequencies” are a measurement of the number of sound waves that occur over time. Ultimately, the lower the sound, the “less waves occur”, resulting in a deep, low sound, while higher frequencies entail a speedier and higher amount of waves that produce those high-pitched sounds. Let’s take the very standard ‘frequency response’ measurement of 20 Hz – 20 kHz (measured in “hertz“). The first listed number in a frequency response is as low as your sound will get in terms of pitch (usually in Hertz), which the second number to finish the ‘range’ will be in kilo-Hertz to state how “high” the frequency can attain, or portray to your ears once it has processed the audio. The wider the frequency range, the more broad (and perhaps clearer) your speaker can send audio to those ears around it. What a second, there’s also something called “frequency range”, right? The frequency response vs. range terms may be tough to understand at first, but ultimately “response” is just the frequency range versus it’s amplitude. So why is this important to analyze? For a speaker that let’s say has a minimum of 20 Hz, a specific input level can create 100 dB of output. At an even lower level of Hz of let’s say 10 kHz, it may be 95 dB, etc. 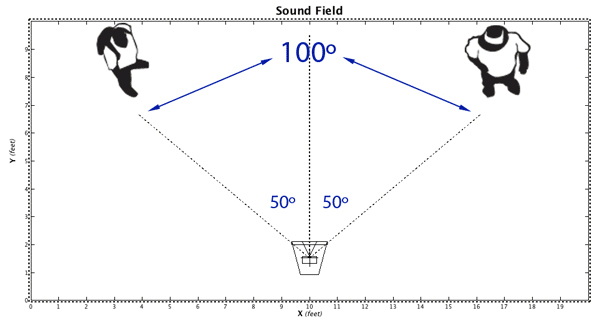 Your frequency response measures the speaker’s ability to portray a specific range of low frequencies to high frequencies of the sound spectrum (Source: AnandTech.com). This is one of the must-know speaker specifications that can help you get a product that will stand the test of time. Basically, the power handling of any speaker is the consistent amount of total wattage that it can handle at any given time from an amplifier. It is not so important to users unless you are trying to pair passive speakers to a power source, or if you are indeed concerned with ‘overall power’ for an active speaker (which means it has its own power source inside of the speaker itself, which is more common), . However, if you are thinking of using an amp, then it definitely should be one of the top priorities in the speaker you choose. The best way to look at this specification when choosing speakers is to match AV receiver to amplifier, and then go for those that fall in the same range. In most, if not all cases, the speaker impedance rating is indicated using single digits and measured in Ohms. There are frequencies that will drop the impedance, and this will require more power from the amplifier. In other words, impedance is the load or resistance that a speaker is able to handle or present to the supplied power at a given time. In most cases, speakers have an 8-ohms rating. This is the average, and this means that the speaker can handle a 9v battery or even more power. The 4-ohms might require a pretty good amplifier and even more power for it to sound good. In order to be on the safer side, you’re advised to match amp to speaker. This particular speaker specification is a rating based on SPL output from a specified distance. For instance, it is a good indicator of efficiency, especially when fed with 1 Khz at exactly 1 watt from a 1 meter distance. Importantly, it is an indicator that will help you determine how well a speaker utilizes amplifier power. You can look at it as the ‘loudness’ of the speaker before it gets distorted. The bigger, the better, right? Unfortunately to make this a bit more complicated — not necessarily. Technically speaking, drivers are ‘cones’ that move back and forth to create air pressure changes (also known as ‘sound waves’) that act as that ‘signal’ your speakers, headphones and other audio gear will handle to ultimately send to your ears as the end goal. The bigger the driver size, the lower the frequencies it can handle. There is however a threshold for most human ears as many of us can only hear to 20 Hz as the lowest. Many engineers do wish to have a lower frequency range ‘just in case’. For higher frequencies, the drivers actually need a smaller size for a close gap in between the high and low pressure points. Therefore, many speakers have more than just one driver to determine which type of frequency it should assign where. You may also find speakers that explain their drivers in two — LF and HF, which stand for low-frequency and high-frequency. Better speakers even have three to handle the mid-range as well. This means that the speaker has different components built-in to the body to handle the separate frequencies separately. In other words, you have a little subwoofer and tweeter acting together to work in tandem for a better balance in both ends of the frequency spectrum. This helps not only increase the frequency range but also clarify the audio. Think of it like a car stereo system — you have your subwoofers in the trunk for your thumpy lows, and tweeters under your seats for the highs. Instead, this is all literally inside of the speaker. If a speaker does have just one driver for the entire frequency range, it is called a ‘full-range speaker’. While those with a woofer and tweeter labeled ‘two-way’, and with a woofer, tweeter and mid-range, labeled ‘three-way’. This measurement describes the speaker’s ability to ‘handle power’, or ‘sound pressure’. In other words, how loud your speaker can get before it starts to distort. You’ll often see speakers specification lists state “Maximum Peak SPL“, which is the most sound pressure your speaker can handle until it begins to distort. Yes, the higher, the better. Although, you don’t always necessarily need “a lot of sound pressure” to have a good speaker. This would be more of a concern for PA systems or other types of speaker rigs that call to reproduce sound for larger rooms and of course, a larger amount of people as compared to let’s say an office or house. It is important to note that many companies are using 2.83 volts as their standard measurement, and Inut is measured at a distance of 1 meter. A good example of the calculation is: 2.83v x8ohm=1 watt. Take note that in OHMS law, Power=Voltage x Current/Power=VR Impedance. In other words, speaker efficiency is how effective the speaker is at transforming power into sound. 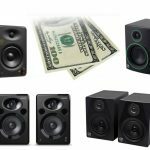 It is vital to understand speaker voltage sensitivity in order to make a good choice on a speaker worth buying, since those that cost less begin to sacrifice this area, affecting not only the audio quality but mere power-to-clarity ratio (the louder you turn it up, the less great it sounds). In most cases, if not all, these are rated in decibels (dB), so understanding the dB factor is equally important when it comes to choosing a speaker for your use. For a good rule of thumb, keep in mind that 0 dB will be literally, zero sound. 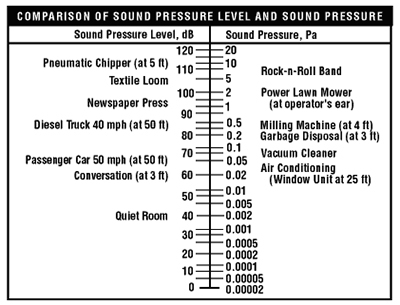 Considering the human voice (normally) hits around 65 to 70 dB and our typical pain threshold is around 130 dB, somewhere in the middle is efficient. The standardized rating is 1w/1meter, so this means that the particular speaker is able to produce a total volume of 87dB measured by a mic that is placed a meter a way. Basically, many speakers will offer 87dB as its minimum rating, which can be considered to be very efficient by present market ratings. However, there are other speakers that can go up to 90dB, and this makes them super-efficient by all means. This is the process of analyzing, synthesizing, and modifying signals, which is the data audio gear sends to each other that attempts to describe information about the behavior and/or attributes of sound. The processing capability of a speaker entails how well it is able to manage and clarify the sound produced in the system. Considering there are external, advanced signal processors you can buy (typically for live sound applications), the signal processing power of a speaker is very important when it comes to measuring ‘sound quality’ and the ability to add effects. More commonly nowadays, you’ll see the word ‘digital signal processing‘ or for short, DSP, which is the latest norm for processing audio with little microchips in their bodies to handle the processing of signals. This is the measured angle of a speaker (more often a loudspeaker for live sound) that helps us understand the amount of a room you’re going to be able to cover within a live application. Understanding coverage angles helps engineers understand their mix and the ability to satisfy all members of their audience equally. You’ll some more advanced loudspeakers describe their coverage in ‘vertical coverage angle’ as well as ‘horizontal coverage angle’ in degrees. The coverage angles of speakers, most likely concerned live sound engineers (Source: soulsound.co.uk). This measures the frequency and point which a speaker determines when to direct frequencies to the subwoofer or midrange/tweeters. For example, if a speaker has a crossover frequency of 3Hz, any point below this will be directed to the bass driver, while anything over will be directed mid/tweeter component. The sound measured in dB can be a little bit confusing for new buyers, but this shouldn’t be the case at all. 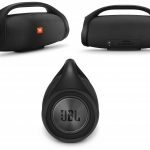 In order to understand these ratings better, you need to understand that a normal whisper is rated 15 – 25dB, office background noise is 40 – 60dB, a rock concert is well over 120dB, while an orchestral climax stands at 105dB. A jet aircraft is said to be anything between 140-180dB, whereas the pain threshold is around 130dB. If you have this in mind, then it is more likely that you will choose a speaker that will meet your needs. Speaker specifications can best be understood if you know something about power and volume. For instance, it will take twice the power to produce a 3 dB increase in any sound volume. An amp of 100 watts would need 200 to increase from 84 dB to 87. 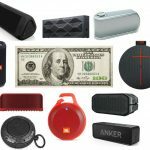 In this case, you need to understand how much volume the speaker manufacturer claims. Note that most home theater speakers have a rating of 80 dB – 84 dB, and some might even have a worse rating. However, the many others average 87-90 dB, but anything below 85 will mean that you need much more power in order to achieve better sound. Obviously, you need more power to increase the volume of your speaker. For instance, you need 1 watt for a volume of 87 dB, 2 watts for 90 dB, and 4w for 93 dB. You need 10 watts for 97 dB, 20 watts for 100 dB, 200 watts to produce 110 dB, and 400 watts for 113 dB. 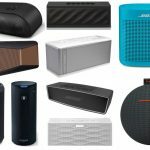 This is just one of the basic things that can help you have insight when it comes to speaker specifications and choosing a high quality speaker at the end of the day, since ‘power’ isn’t always equivalent to ‘suitable volume’, as most speakers come with more than enough volume capabilities for most common applications. 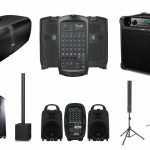 Unless you’re of course creating a live sound PA system and need to portray your sound to numerous people in a very large room or building. 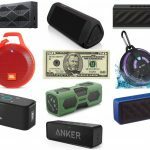 There are quite a number of speaker specifications that you should look into, and take note that some of these are never written on the speaker manual — some brands even boast about a particular specification yet don’t even explain what it means. These include not only the listed specs in here but also some other advanced terms, such as impulse response rates, cumulative spectral decay, and impulse response plots. In a nut shell, response rate is achieved by placing a mic in front of the speaker in an anechoic chamber. The cumulative spectral decay (CSD) is something that is directly related to matters concerning time, amplitude, and frequency. A perfect CSD will give more of a straight line, and the straighter the line, the better the speaker. As stated previously, considering the vital speaker specifications will help you a great deal in choosing a high quality speaker. However, your room — what can be termed as the “room factor” — also plays a role in a speaker’s efficiency. Your room determines not only the amplifier power you will need but also the sensitivity and system you will go for. A larger room will definitely require more power, and the opposite is true as well. That being said, you may not even be using your speakers indoors, which can then further affect your speaker’s overall performance. If there are any questions, don’t hesitate to ask in the comments or use our contact form and we’ll be happy to help as much as we can. 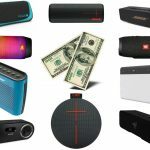 However, after this guide, we hope the different speaker specifications are a bit more clear to you know as you shop for your perfect speakers.